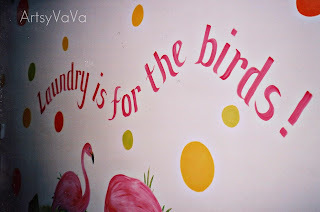 Owning a mural painting business, I am often asked to paint quotes on walls. 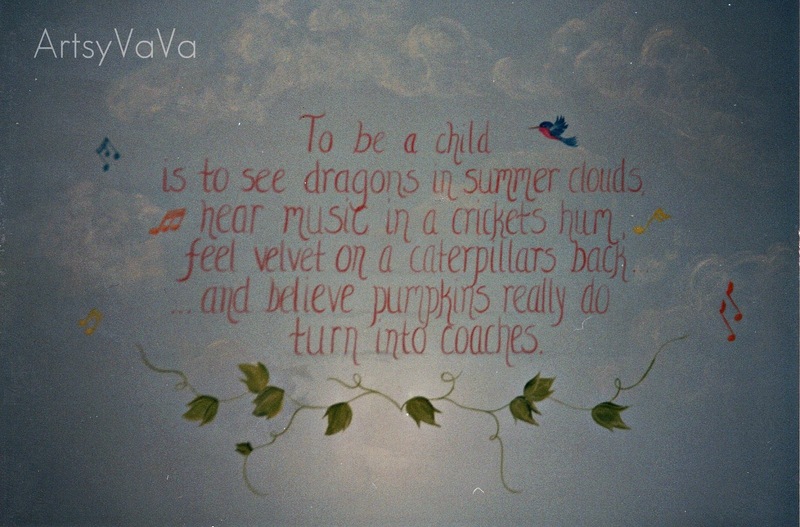 I'm not sure why, but for some reason my handwriting is much better with a paintbrush than it is with a pen or pencil. I guess that's a good thing since I never get paid to write something with a pen or pencil. 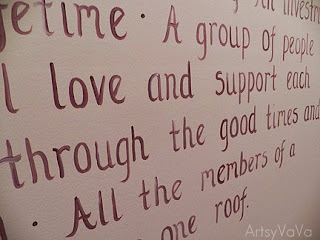 Adding words to a wall gives your room a personal feel. That is a great motto and I am doing my best to live up to it! Next to this, I painted a tree. On the branches, I hung pictures of my husband and me, our parents, and a picture of us with our children. 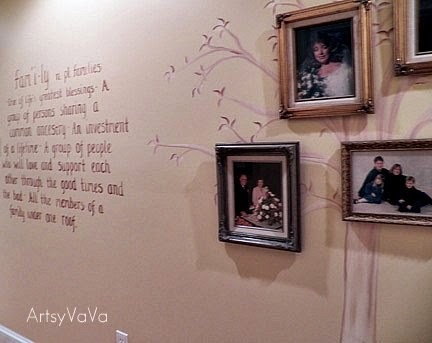 The picture of the kids needs to be updated...those small children are now 18 and 20! I probably should have straightened the pictures before I snapped this shot...oops. 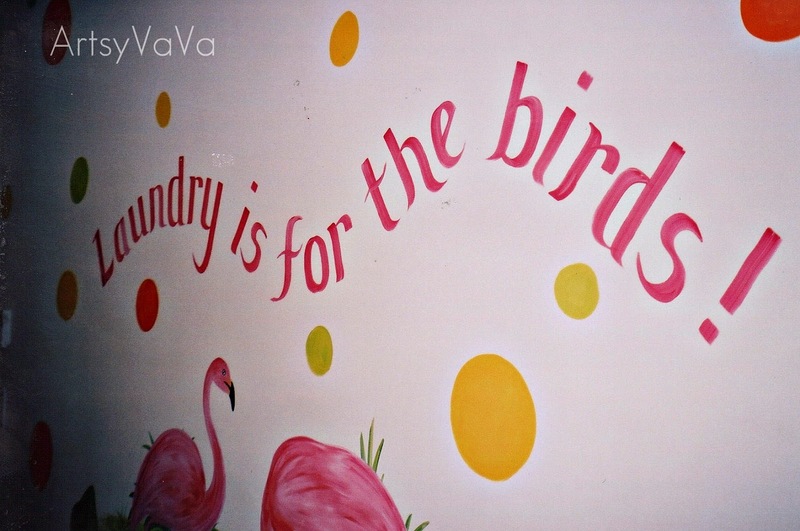 The flamingos are doing the laundry...wouldn't that be nice? 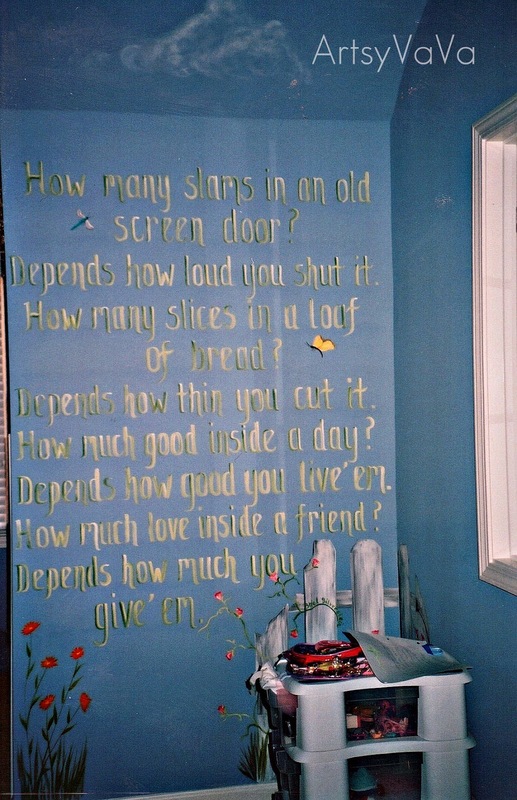 This was painted in a child's bedroom. All the things mentioned in the poem were incorporated into a mural painted around the room. 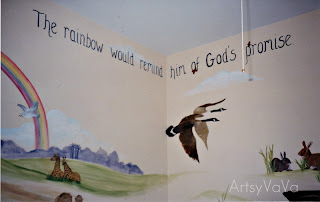 Noah's Arc painted in a nursery. 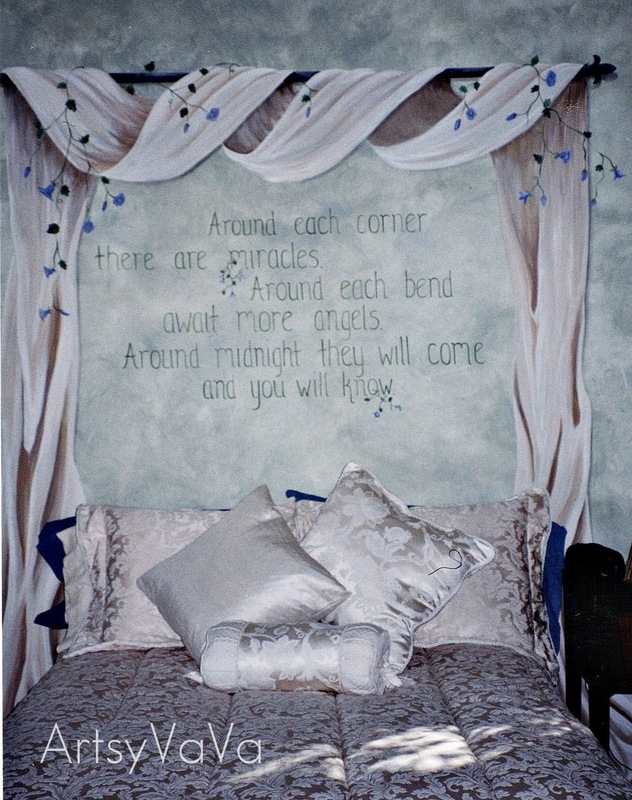 In this bedroom, even the curtains are painted on the wall. This Langston Hughes quote and magnolia tree are painted going up a stairway. To make sure my lines are straight, I use a level and draw my straight lines with chalk. Once the paint is dry, the chalk is easily wiped off with a damp rag. 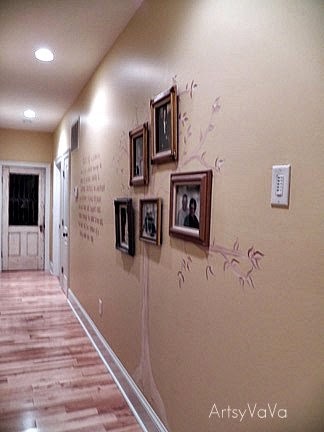 You can see my chalk lines in the next photo. I'm so impressed! You are so talented. I can barely draw a stick figure, so I'm always jealous of people that can draw/create like this for a living. I love the quote by Erma Bombeck and the family quote you have too. They really resonated with me. Thanks for stopping by and visiting me too. WOW!!! You are such an artist. Um, can you come to my house?!? 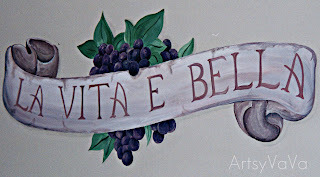 These murals are such treasures and I'm sure you have blessed others beyond measures with your talent. 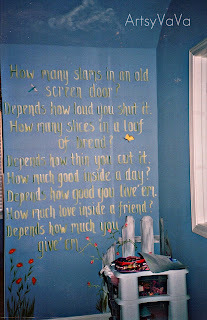 You do have magnificent paint writing. I love all of your murals, but EB's creativity quote strikes a cord. Lovely work. Oh wow, what gorgeous pieces. How nice to also know that your works of art are living and breathing in people's lives on a day to day basis. Thank you so much for linking up! 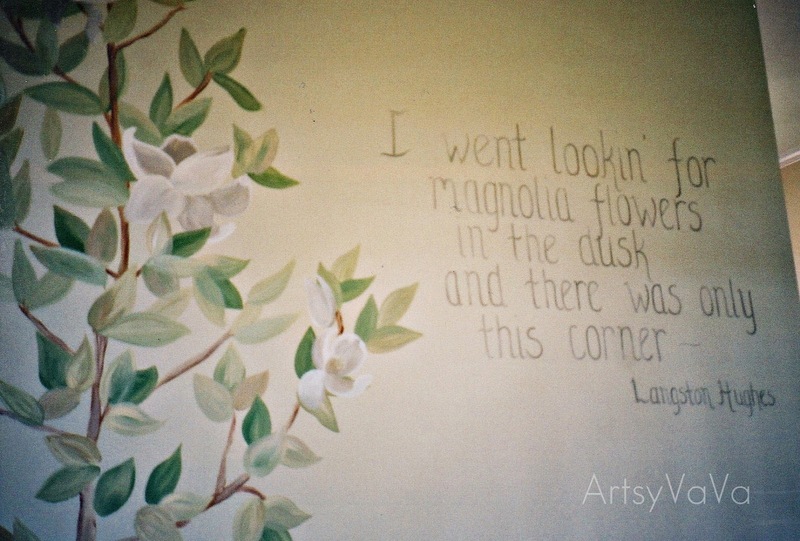 So lovely, Langston Hughes always inspires me. Inspiring quotes. thanks for sharing them. Saw you at Naptime Crafters. You are very talented. Your work is amazing! 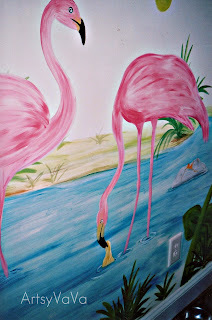 I've been signed up to paint sea critters on my sisters wall (they discontinued her nursery theme before she managed to buy 1/2 the stuff!). Any tips you could give me? Thanks for sharing! I'm your newest follower. Eep! 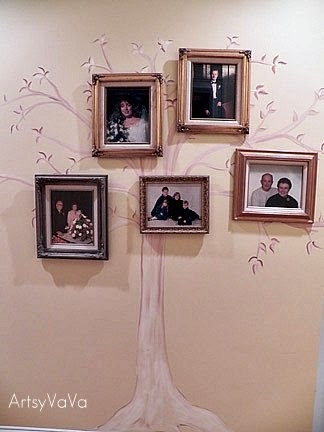 Your family tree is SO adorable! LOVES! Wonderful work. Love the family tree! 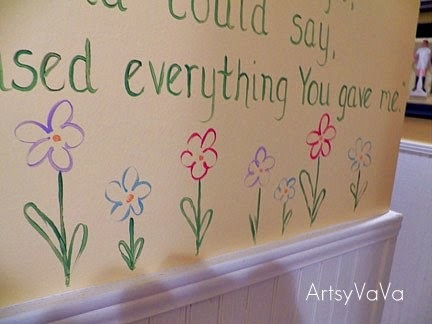 I could never get the man to agree to painted quotes. I'll have to share this post with him to show how beautiful it looks. You are a talented woman. everything looks sooo professional! wow...you are using your talents..good for you. wow! Looks great! You are very talented! Thanks for linking up to the Tuesday Talent Show! I hope to see you again next week! 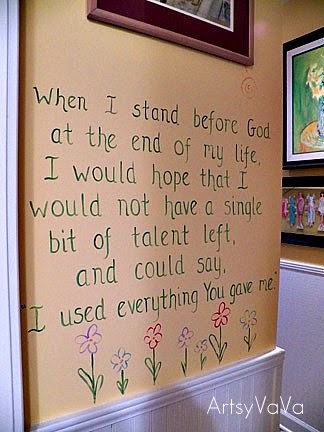 what great talent you have, Virginia! 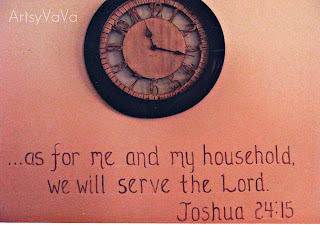 We are featuring this on the blog today! 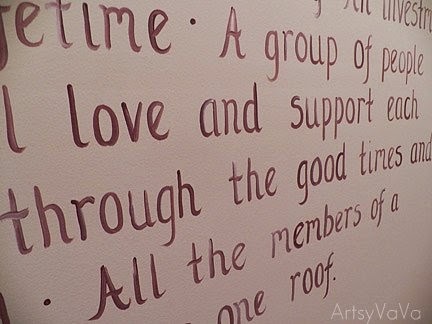 very nice writing and paintings.,, I wish I could do letters/words like that with a paintbrush. Wow, you have a wonderful talent -- love your trompe l'oeil work! Thanks for sharing. End Table Makeover and Over and Over!